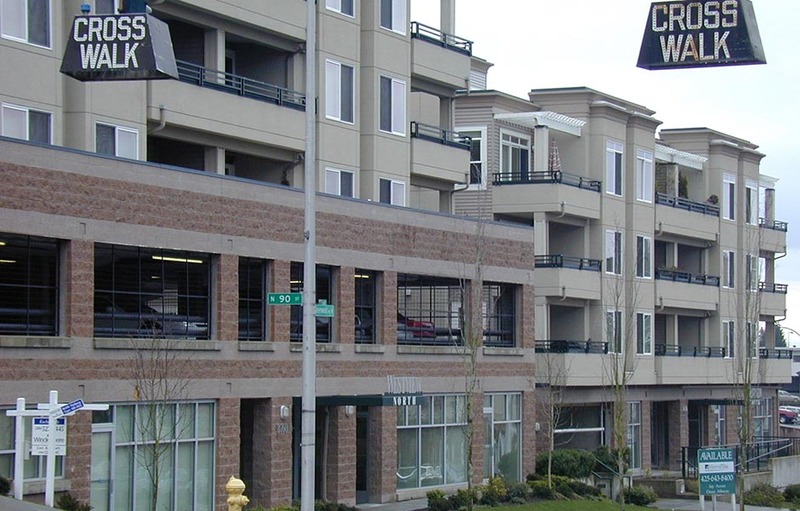 This project consists of two 5 story wood framed buildings with a shared parking garage. Each building has two levels of post-tensioned concrete slabs. A commercial area is located along the front half of the buildings.